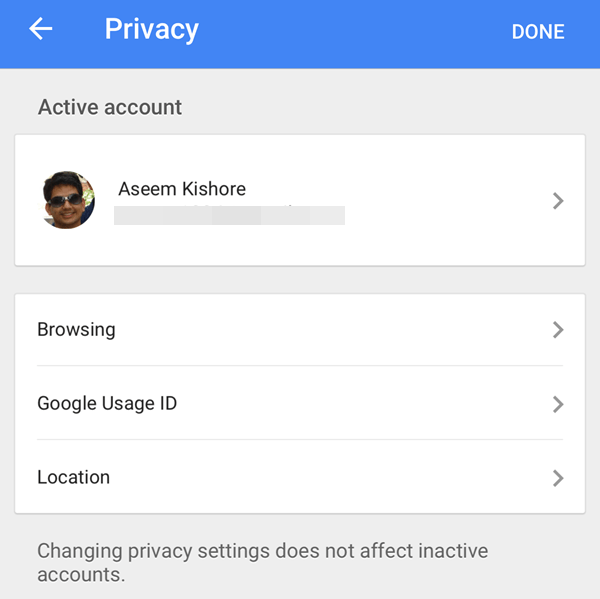 If you are someone who uses Google Maps on a smartphone as their primary GPS device, you probably have Location History enabled in your Google account. Whether this is a useful feature or another over-the-top tracking feature, depends on your level of privacy safeguarding. 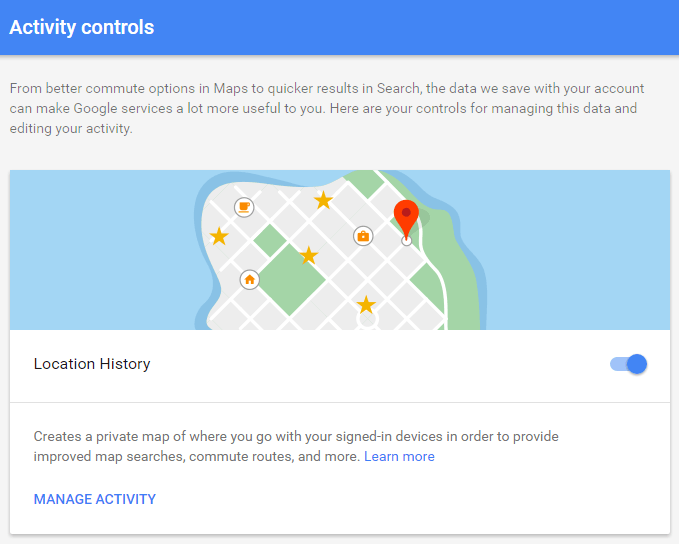 In this article, I’ll talk about how you can view this history and also how to check if you have Location History enabled or disabled. If you just want to learn how to view the timeline, skip down to the View Maps Timeline section. 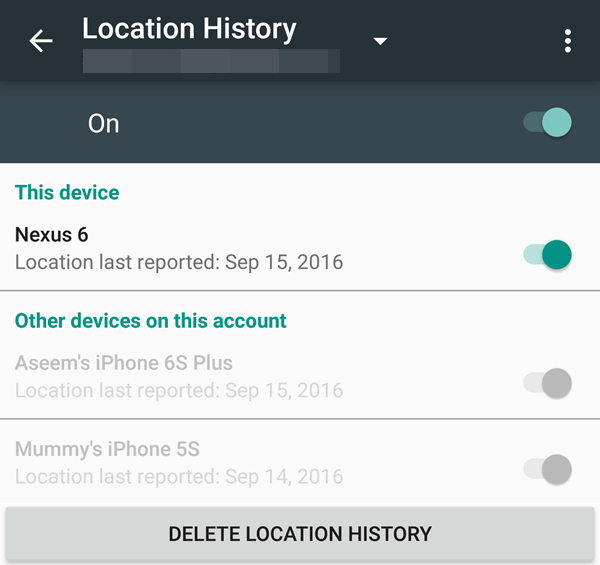 Depending on your device, there are several ways to turn on or turn off location history for a device. 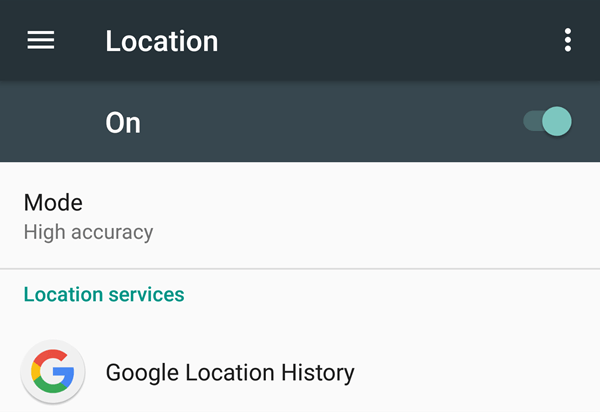 Note that each device you own can have location history enabled or disabled. 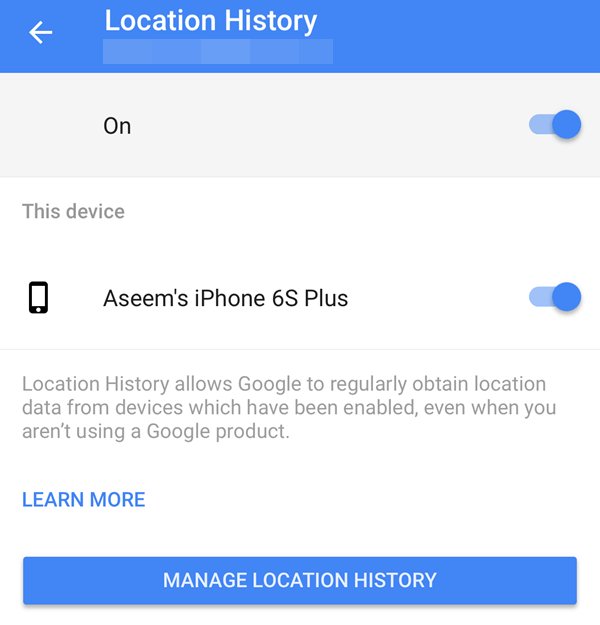 So if you have Google Maps installed on an Android device, an iPhone and a tablet, each device will record location history and it’ll be combined when you view it using the timeline. If you’re using a laptop or desktop computer, the easiest way to change these settings is to go to Google Activity Controls. Scroll down until you see Location History and you can click on the toggle button to enable or disable it. Note that doing it here will enable/disable location history for your entire account, regardless of which devices had location history enabled. Just FYI, this screen also lets you control a whole lot of other settings like YouTube search and watch history, voice and audio history, web and app activity and device information. 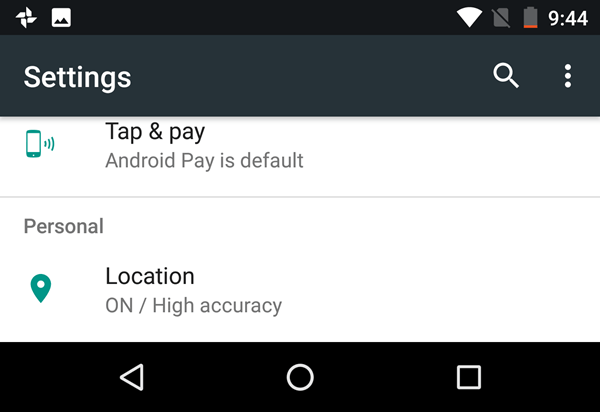 On Android devices, you have to go to the Settings app. 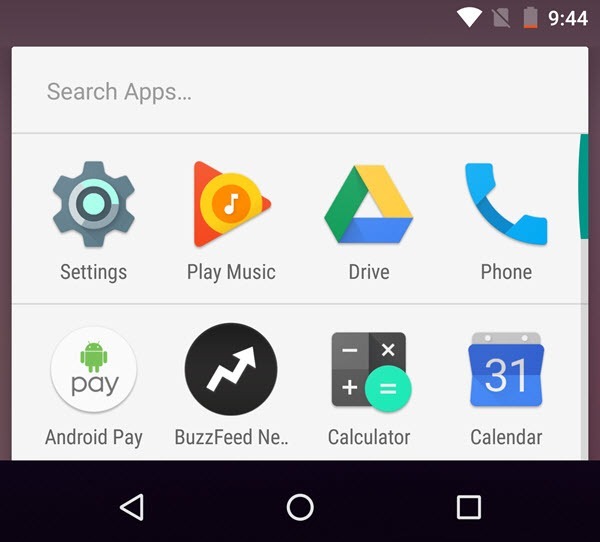 Tap on the all apps icon at the center and then tap on Settings. Scroll down until you get to the Personal section and the first item should be Location. You might see something like ON / High accuracy if you have it enabled. Tap on this and you’ll now be able to turn off location history for this particular device. If you notice, there is another option called Google Location History. If you tap on this option, you’ll see a list of all your enabled devices and you can disable location history for the entire account. On the iPhone, there are a couple of ways to go about changing this setting. 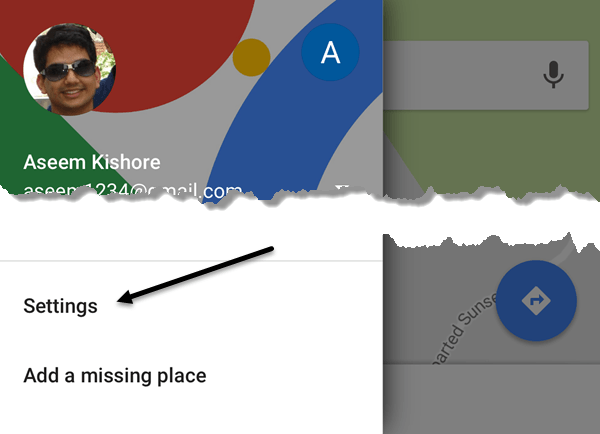 The first and easiest way is to simply open Google Maps and then tap on the hamburger icon at the very top left. Then tap on Settings towards the bottom of the menu. Scroll down to Location History and tap on that. You can now change the setting here for just the device or for the whole account. If you have the Google search app installed on your phone, you can go there, tap on your email at the top left, then tap on Privacy, and then on Location. OK, so now for the actual fun part! To view your timeline, simply visit the maps timeline link. The main screen will give you an overview of your location history. The first thing you’ll notice is the large map in the center with a bunch of red dots. Each one of these drops corresponds to a trip you have made. If you double-click on the red dot, you’ll be brought to that specific time period and you’ll see the route traveled. 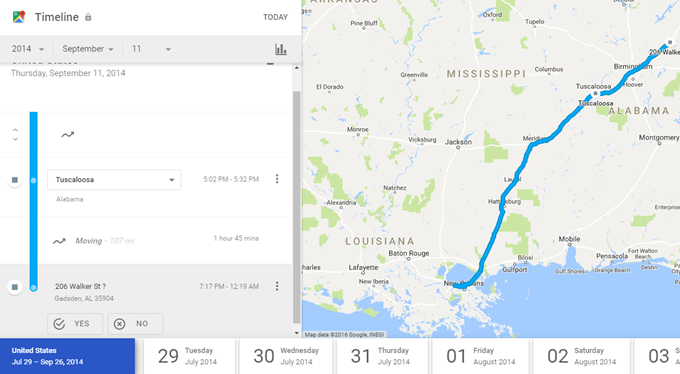 In the above example, I was travelling from New Orleans to Gadsden, AL on September 11th, 2014. This was our trip back from my parents’ home to our home in Maryland. We stopped one night in Alabama along the way. Across the bottom, you can click on any specific day to see your daily travels. The individual days are really cool because if you happened to have taken photos and you saved them using Google Photos, they will show up in the timeline too. As you can see, we walked around the lake area during this day and we took some pictures at the lake, which show up in the left-hand side. It’s pretty cool! It even tells you how far you walked and for how long! If you go back to the main screen, you can also click the two big icons at the bottom. One will say something like X Places, See your most visited places and the other will say More Trips. This is a quick way to see the most common places you go to and to quickly see all your major trips/travels. Overall, it’s really cool if you don’t mind the fact that Google knows where you are all the time. If you can live with that, you can see some pretty cool information about yourself. It’s worth noting that you can delete your location history any time you want. Also, check out my article on how to view your Google Maps search history. Enjoy!